Pick up point: Please take your voucher/confirmation, credit card used for payment along with photo ID to the London Pass redemption centre, 11a Charing Cross Road, London, WC2H 0EPDirections:From Leicester Square tube stationTake exit 1 onto Charing Cross Road, turn left and walk past the Wyndham’s Theatre.Walk 100 metres towards Trafalgar Square, the redemption desk is the downstairs area of the ticket information booth on the right-hand side opposite the Garrick Theatre. Important info: In order to get access to each attraction you must scan your pass at each venue. All participating attractions are listed in the free guidebook given upon collection of your London Pass at the redemption centre. Available for either 1,2,3,6 or 10 Days, the London Pass allows you to redeem your credits at some of the capital’s most popular sights, including skip-the-line access to selected attractions (a full list of participating attractions is included in the free guidebook you receive when collecting your London Pass from the Redemption Centre). Simply look for the London Pass sign and scan your card to jump the line. 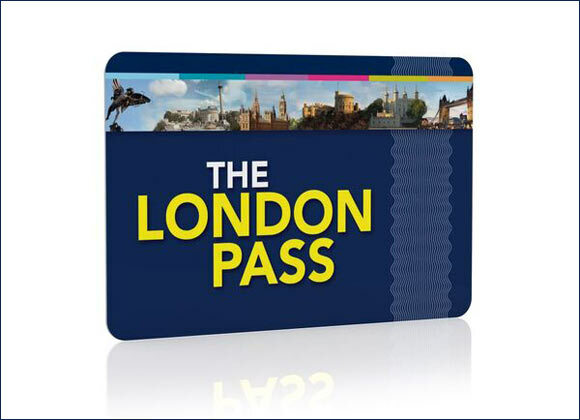 The London Pass is valid for consecutive days only, not 24-hour periods, and is activated by scanning at the gate or ticket office of your first attraction or activity. What is included:	• Access to over 80 attractions, tours and museums	• Skip-the-line – Jump the line at selected attractions to save time	• Hop-on-Hop-Off 1-day bus tour to explore London	• Over 20 exclusive special offers.